The water is warmer, drinks are cooler, and dresses are out: summer is officially in full swing. We've got the best new beauty products that will keep you looking and feeling fabulous wherever you are this sunny season. With eight classic tones, eight limited edition tints, and lacquered, silken, shiny, or matte finishes to choose from, YSL makes sure that there's a perfect gloss for everyone. From sweet candy pink to seductive rouges, we guarantee you'll be smiling all summer long with lips that are totally irresistible. Cutting-edge technology meets ultra-targeted results with Helena Rubinstein's newest range, Re-Plasty. Consisting of Laserist cream—which replicates the effects of laser treatments with a non-evasive cream-based formula that smooths and brightens skin—and Re-Plasty's Light Peel, which gently pares away imperfections and exfoliates, leaving you with skin that glows like the summer sun. We all love living in big, vibrant cities, but pollution can have detrimental effects on your skin. Thankfully, By Terry has you covered. Their latest range—Cellularose Detoxilyn—keeps skin bright and supple while repelling pollutants and other unwanted particles so you don't have to sweat the small stuff, even in the highest temperatures. Silky smooth and so light that you'll barely notice it's there, Hello Happy Soft Blur Foundation is an extensive range specially crafted to blend seamlessly with every skin tone. and is sure to put a smile on your face this summer. Millennials get a bad rap these days: from overuse of technology to entitlement and a slightly bizarre obsession with avocados, but trust us when we say this is a 'milllennial' you’ll love. 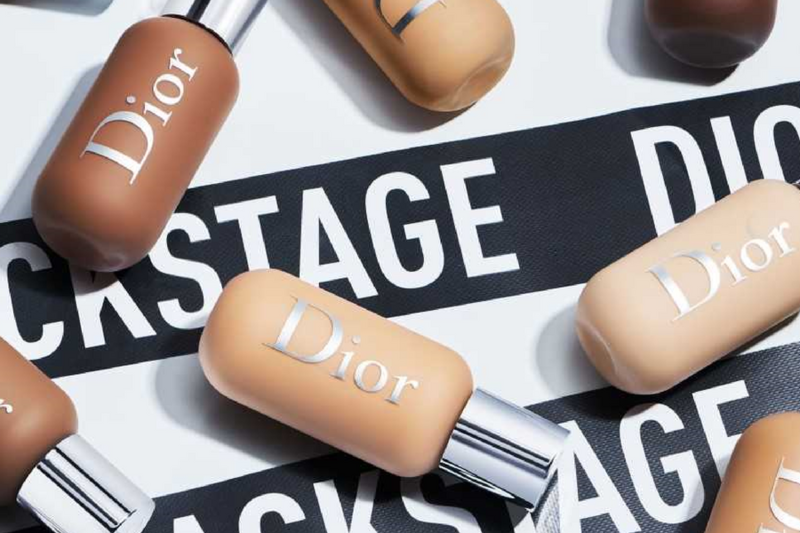 Inspired by "the unstoppable lifestyle of the millennials", Dolce & Gabbana has introduced this perfecting tinted moisturiser that promises a flawless complexion and long-lasting radiance. This groundbreaking new collection proves that you don't have to be a model to look like you're ready for the runway. The collection, which boasts shades of 21 and extensive eye palettes, was concieved and designed by veteran make-up guru Peter Philips. Gorgeous skin? Check. Eco friendly? Check. Fresh's best-selling Soy Face Cleanser has been given an artistic makeover, stylishly packaged in a slim tube designed by world-famous fashion illustrator Blair Breitenstein. It's limited edition, so act fast before it runs out. Passport? Phone Charger? Plane tickets? There’s a new essential to add to your travel must-haves, as ReVive have just launched the perfectly petite travel-sized range of revitalising and anti-aging creams. Now there's no need to worry about going over the liquid limit on your next adventure. Sisley’s Ecological Compound has become one of the essential creams of the last decade, and it's just gotten a facelift. Retaining the iconic formula that combines scents of rosemary, ginseng, and centella asiatica, the limited edition version is now presented in a gorgeous floral container that will bring some panache to your make-up counter. Tested and proven to last over 300 kisses, Clarins' Water Lip Stain is a force to be reckoned with. Choose from four shades of rose, orange, red and violet, each so light and silky that you'll forget you're wearing it. Shiny, shimmering, and oh-so-decadent, this limited edition lip gloss line looks good enough to eat. Equipped with a non-sticky texture, NARS' high-shine Full Vinyl Lip Lacquer collection offers mirror-like shine in 10 different shades, ranging from sweet metallic rose gold to a rockstar-worthy black with gold pearl. You don't have to hit the beach to stay hydrated this summer, as La Mer brings the power of the ocean right into your hands. Deeply revitilising and luxurious, this hydrating mask plumps and replenishes skin in a matter of minutes—a must-have to stay cool this July. GHD have partnered with fashion icon Lulu Guinness to create this collection for a good cause. Consisting of a classic straightener and hair dryer modelled in shimmering pink, each purchase will provide a HK$100 donation towards the Hong Kong Hereditary Breast Cancer Family Registry for further research, so we can all contribute in the fight against cancer. Photo: Courtesy of My Little Pony. Bring some sparkle to your beauty routine with these charming glitter face masks. With ingredients such as liquorice and marshmallow leaf, these enchanting masks will leave you with firm, luxuriously soft skin, and will ensure that that your beauty regime retains a touch of magic.